Move to iOS not connecting? Read this guide to get 5 solutions to fix the Move to iOS not connecting to iPhone issue. 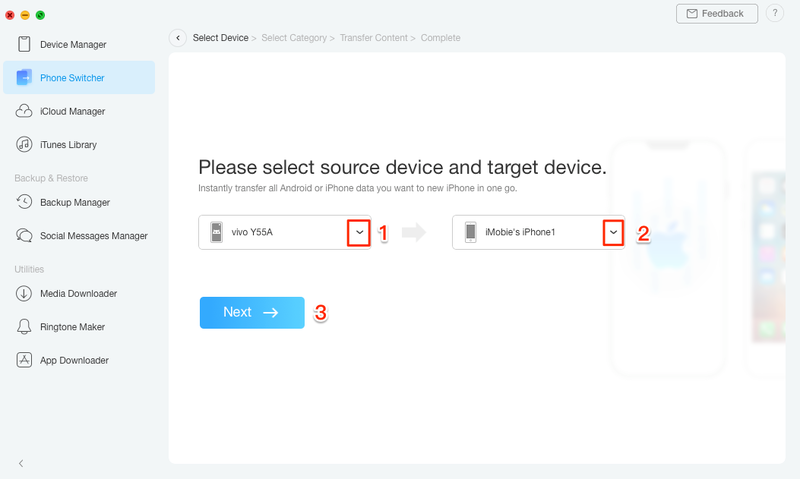 This easy-to-use tool can help you transfer data from Android phone to iPhone without effort. Just try it by yourself. Move to iOS is one Android app that Apple developed to help you transfer data from Android phone to iPhone. It is supposed to be as easy as ABC, but your Android phone just cannot connect to your iPhone, or it would connect for a second and then drop. Don’t worry, to help you out, here we collect some basic solutions to help you fix the Move to iOS not connecting to iPhone problem. Let’s get it on. This is the basic tip you can have a try if you meet any phone related problem. If it doesn’t work, then keep reading. Make sure the Wi-Fi network is stable on both your Android phone and iPhone. Go to Android phone network settings and turn off “Smart network switch” option. Put Android phone on airplane mode, and then turn on Wi-Fi while still in airplane mode. This method works well for many users. 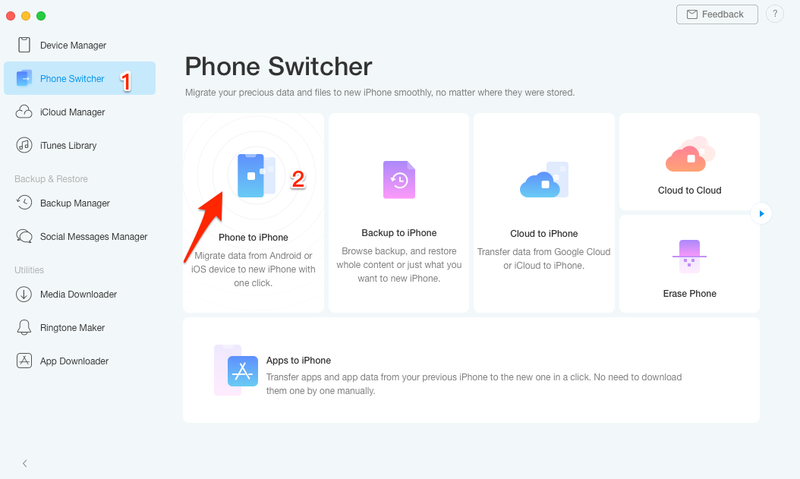 If all the above methods cannot help you fix “Move to iOS not connecting to iPhone” issue, then you can try other free Android to iOS data transfer tools to help you switch from Android to iPhone like AnyTrans. AnyTrans lets you transfer contacts, messages, photos, videos, music etc. from Android phone to iPhone directly. You can use your phone optionally, which will not interrupt the transferring process. Why not give it a try? Step 1. Launch AnyTrans on your computer (PC/Mac) > Connect both your Android and iPhone to Computer via USB cables > Click the To iOS button > Select Content to iOS. Step 2. AnyTrans would automatically regard your Android phone as source device and iPhone as target device. Select the file type you want to transfer. After clicking ">" button, your data in Android phone would be automatically transferred to iPhone. That’s all for how to fix “Move to iOS not connecting to iPhone”. Besides that, we also offers guides to help you fix other Move to iOS related problems, like the transfer interrupted and the transfer takes forever. Or if you meet any another issue, you can leave a comment to tell us.